Divano Roma Furniture featuring kid's furniture chaise lounge. Tufted fabric with linen fabric upholstery and nailhead trimming details with victorian style dark brown legs. Minor assembly required. 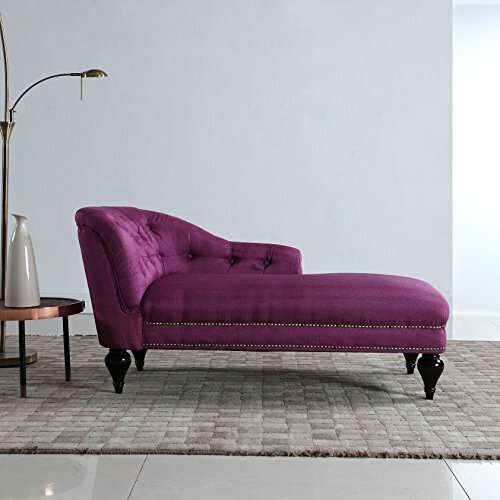 Elegant and classic chaise for kids, tweens - specially for middle school kids. This is the perfect piece of furniture for girls. Modern take on kid's furniture - this is a more elegant design for that perfect princess room! Minor assembly required - Screw on legs and slide in the arm rests and you're all done! If you have any questions about this product by Divano Roma Furniture, contact us by completing and submitting the form below. If you are looking for a specif part number, please include it with your message.